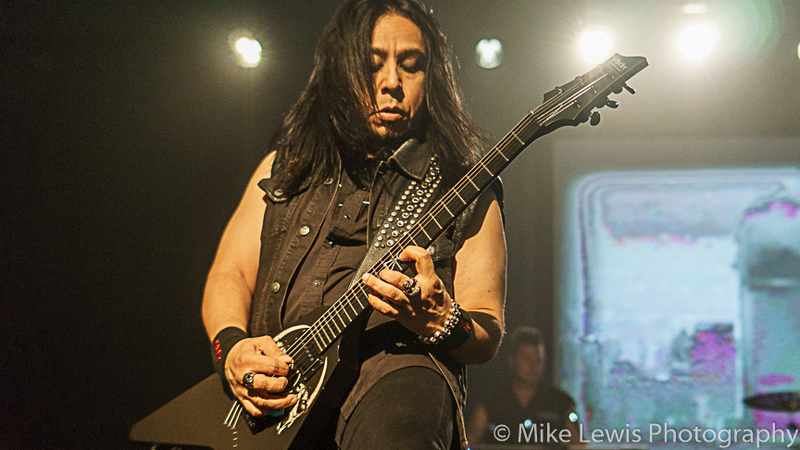 KNAC.COM - Reviews - MINISTRY, DEATH GRIPS In Portland, OR With Photos! 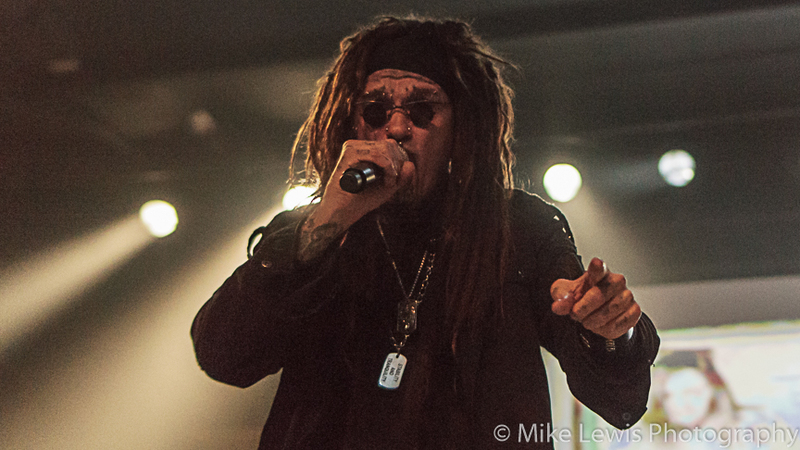 MINISTRY, DEATH GRIPS In Portland, OR With Photos! The evening's festivities kicked off with openers DEATH GRIPS a three piece, avant-garde, soulless, EDM meets hip hop act. To this writer’s ears DEATH GRIPS sounded like ‘gibberish’ with a huge drum loop behind it that you’d be hard pressed to enjoy even on the most potent of psychedelic drugs. Still, there were ‘club kid’ types that ‘got them’ proving that everyone has an audience—albeit limited. 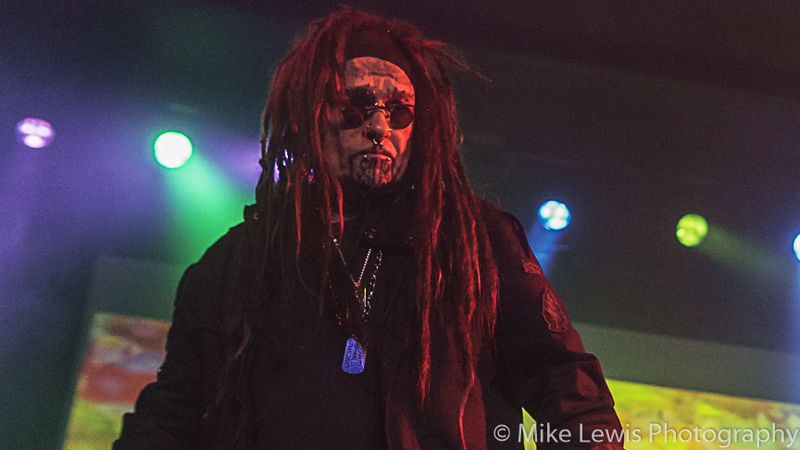 Al Jourgensen swore he put MINISTRY to rest after 2007s "The Last Sucker" tour only to return with a pair of lackluster albums with 2012's The Relapse and the cringeworthy From Beer To Eternity in 2013; there were live albums, the uninspiring ‘industrial twang’ record by BUCK SATAN AND THE 666 SHOOTERS and the ‘so-so’ SURGICAL METH MACHINE. 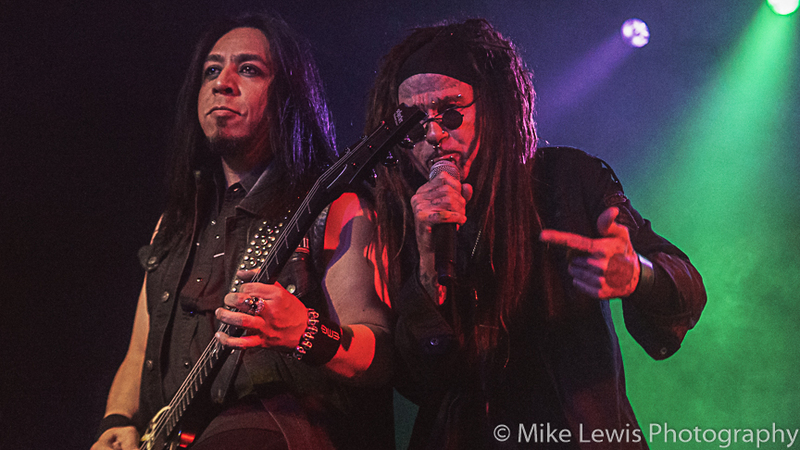 When Nuclear Blast announced a new MINISTRY album would be issued and the band would be hitting the road without new material released [it’s coming but not until 2018]; you’d better believe that Jourgensen and Co would seize the opportunity to feel the fans out and include some new tunes from their upcoming album Amerikkkant in the set. Creeping into the set was “Antifa” and “Wargasm”, the latter being the better of the two. “Antifa” is clearly something Jourgensen supports but the lyrical context doesn't do the ‘movement’ any favors. “What do we want?! Violence! When do we want it? Now!,” sang Jourgensen. Not exactly, a war cry that will have sensible people wanting to enlist for that. 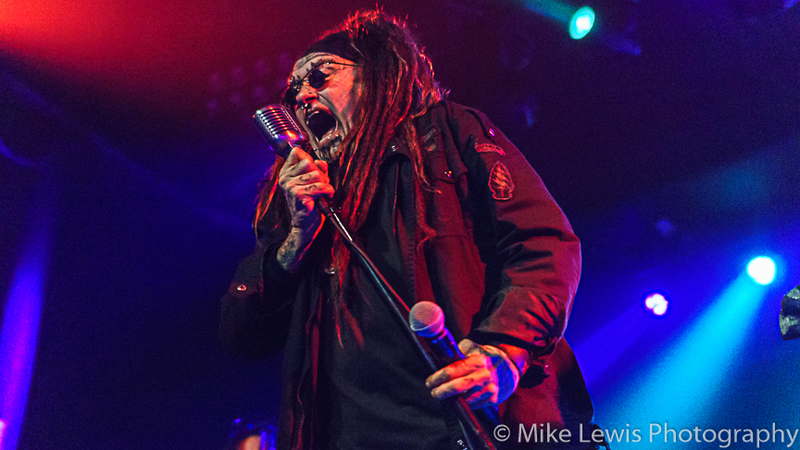 Having caught many a MINISTRY show going back to the early 90s—the show is only as good as Jourgensen’s state of mind is [in years past, no question aided by chemicals] once he hits the stage. 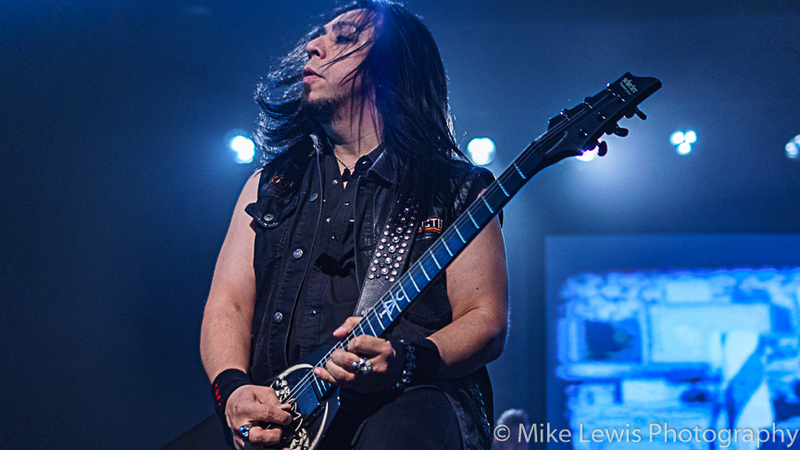 The MINISTRY that hit the stage at The Roseland Theater was primed and ready; the stage show was bright, vibrant, colorful with a screen displaying footage of events that have taken place during the Bush administration. 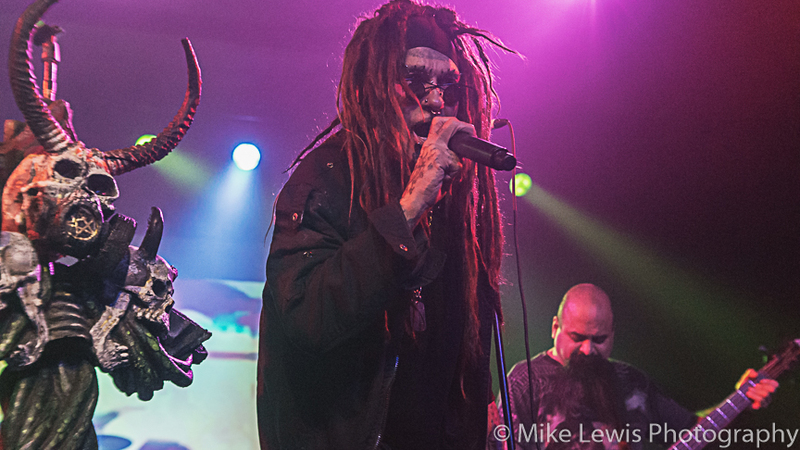 If you’ve followed MINISTRY you’re fully aware that Jourgensen cranks out his best stuff when a Republican is in office. Donald Trump, who may or may not be a ‘real’ Republican was prominently featured as ‘the whipping boy’ of the evening. “Punch In The Face” featured footage of #45 taking more shots to the face than an adult actress in a bukake film. 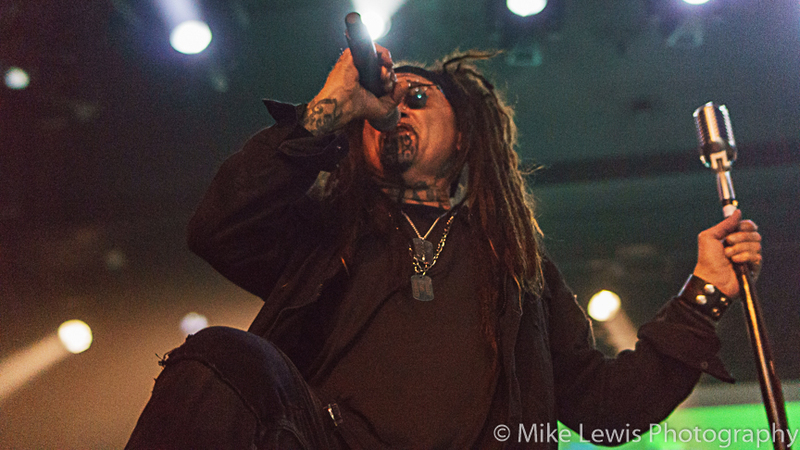 MINISTRY covered all the ‘hits’ as you might imagine; “Rio Grande Blood”, “Senior Peligro”, “LiesLiesLies”, “N.W.O.”, “Just One Fix”, “Thieves” and “So What”. 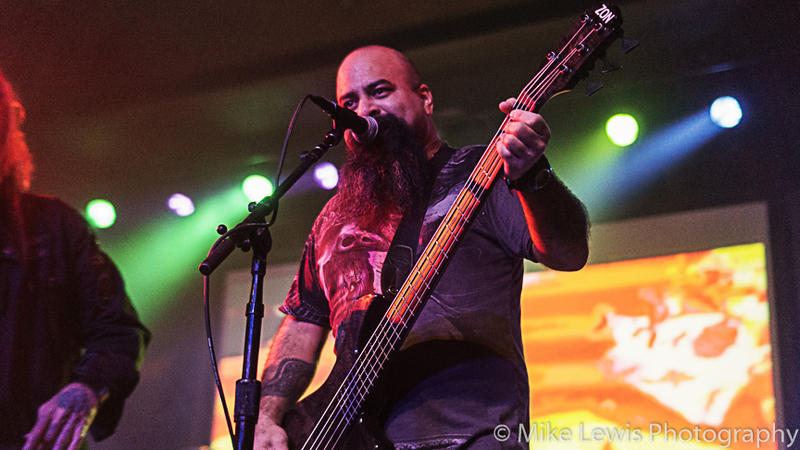 I haven’t seen Jourgensen this animated, working the audience like this if at all. The man is genuinely having the time of his life and it came through in Portland. 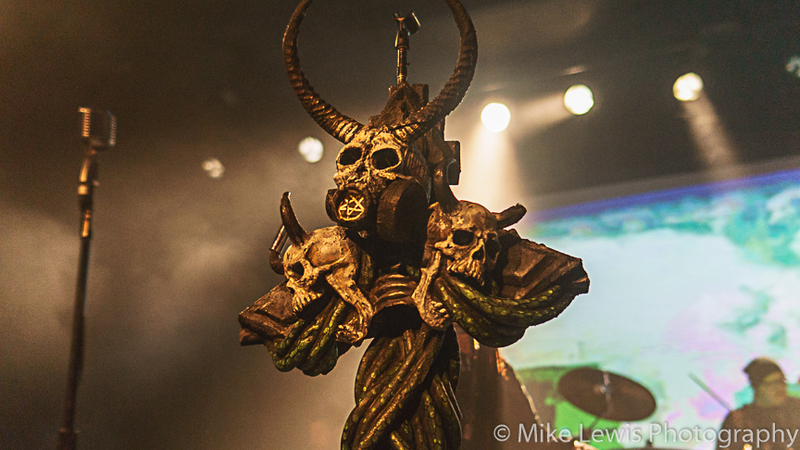 It was a hell of a way to close out ‘Daze Of The Dead’ in the Rose City.